We already know Torrid loves a themed collection. Just a few weeks ago the brand released the Harry Potter-inspired clothing line; before that, Torrid added a Hello Kitty athleisure wear collection to its repertoire. 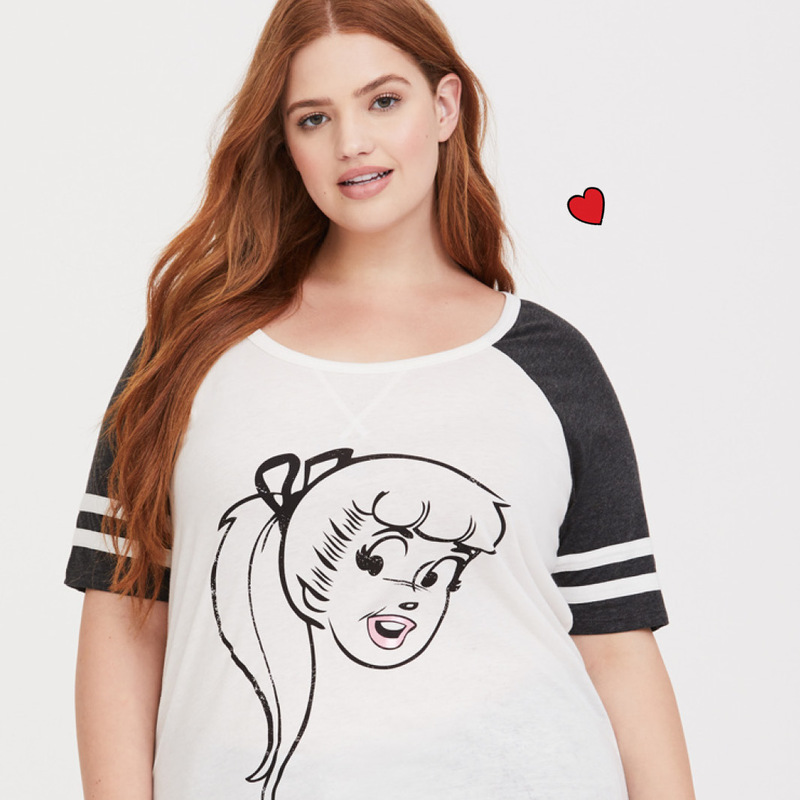 But on June 27th, the brand launched the first-ever plus-size Betty & Veronica collection. Based off the iconic Archie comics, Betty and Veronica were the ultimate babe duo. And what makes this collection even sweeter is that it’s modeled by real best friends Natasha Polis and Heather Traska. The eight-piece collection ranges from sizes 10-30 and is full of school spirit. Here are just a few of our favorites, that you’ll love now and even into fall. Is this not the most adorable tee? 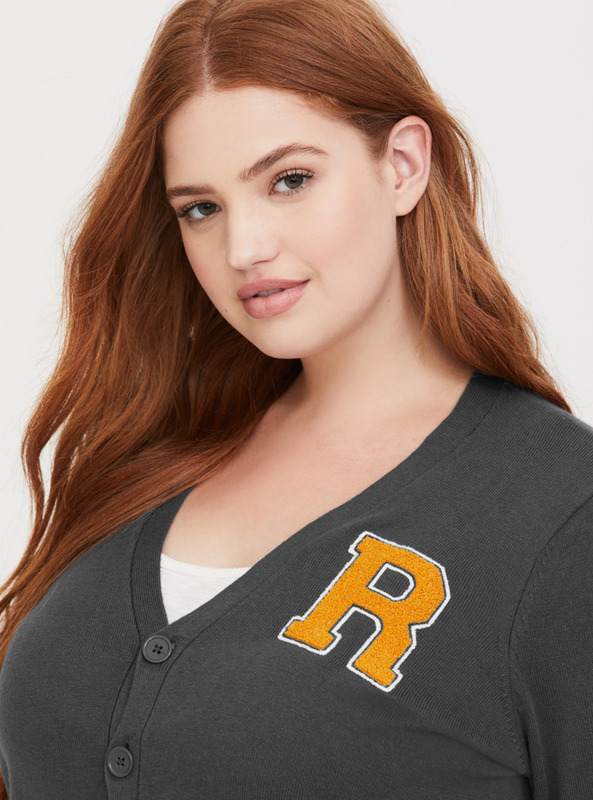 Nothing screams school days like a retro lettered cardigan. Wear it on a chilly summer night and into the fall. Would it be summer without a cute one-piece…and did you notice the collar detail? It’s an embroidered image of Veronica. Again, we’re loving the details. The slit of this bodycon dress includes Veronica’s signature and a fun red lipstick. See the full Betty & Veronica line, here.